Deer Valley is the perfect cabin for those attending horse shows. 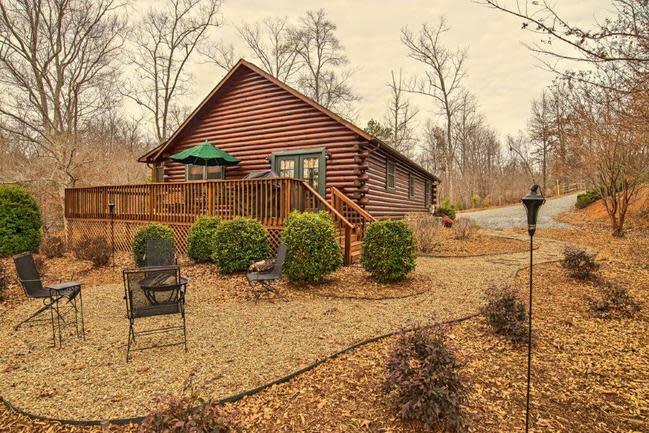 Less than 5 min/2.7miles from the Tryon International Equestrian Center and luxuriously equipped to accommodate your needs. Enjoy a warm North Carolina evening under the stars on the large deck or patio… Or you may prefer to lounge on the private screened porch. Inside, you’ll find all the comforts of home. Every detail has been put into this property to ensure complete comfort and satisfaction. From high thread count sheets to plush towels and nice furniture. 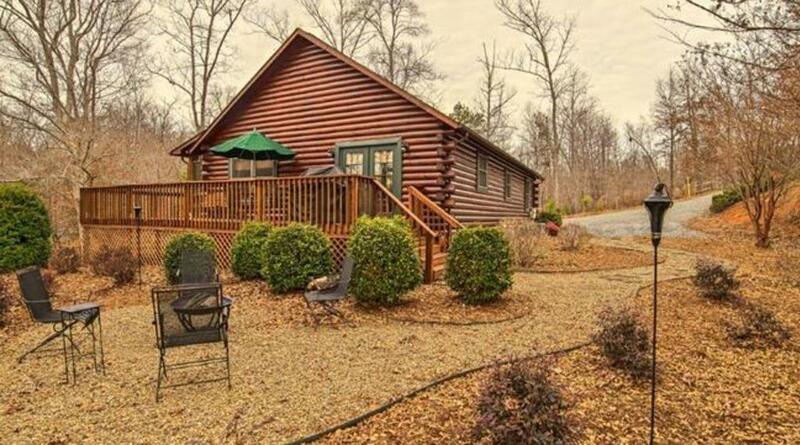 Enjoy this cabin in the woods without sacrificing comfort and location! Green River Highlands is a gated neighborhood less than 5 minutes to the Tryon International Equestrian Center. The neighborhood also features a park along the Green River with a playground and picnic area. Cool off in the beautiful Green River. At Cielo Real Estate, we are passionate about our properties; independently owned homes where the owners and our carefully selected team really care about their guests. These hidden gems are not about herding people through them. They are places that set your heart racing, hideaways you don’t want to share; where the bread is homemade, the care is personal and you can really escape. We hope you enjoy browsing the site which we feel captures the essence of our philosophy; a site that puts the excitement back into travel, one that is simple and fun to use, beautiful to look at and easy to navigate. We will keep finding you the most exquisite retreats around the Tryon and Lake Lure areas… hidden hideaways and luxury villas ensuring they remain true to our philosophy and we will keep improving this site to make your online experience with us the best at all times.